Tanzania Royalty Exploration Company (TSX:TNX, NYSE MKT:TRX), has announced the initiation of the process of production at the initial target on the Buck reef prospect. The Buckreef re mining gold project, located in north-central Tanzania, comprises the dormant Buckreef Gold Mine and four prospects with known mineralization: Buckreef, Buziba, Tembo and Bingwa. “I cannot over-state the importance of this project. The transition from just an exploration firm also to a producing enterprise is one of those rare events in our industry of late. 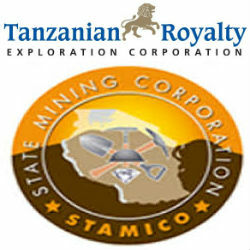 From this day forward we are progressing to a production operation; as well as, of course, an exploration one“ explained Tanzania Royalty President and CEO James Sinclair. The Buckreef Project is a joint venture between Tanzanian Royalty with 55% shares and State Mine Corporation (Stamico) holding the remaining 45%.